This weekend will mark the beginning of the 2016 season for Willowfield Lavender Farm, one of our favorite seasonal Morgan County attractions! 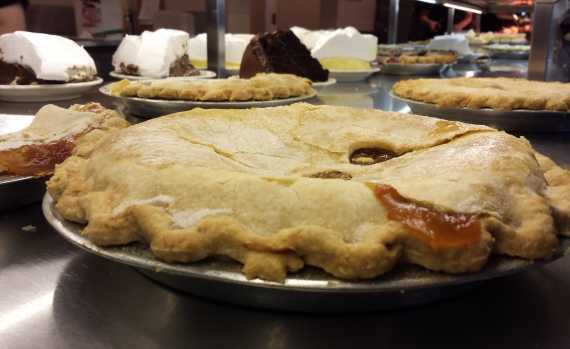 Opening day will be on Saturday, May 14th, after which the farm will be open their regular hours of 10 am to 4 pm, Tuesdays through Saturdays. If you’ve never been to the farm, owners Kieran and Elizabeth O’Connor will be happy to welcome you to their little slice of heaven. The 28 acre property is an organic lavender farm with approximately 2,000 beautiful plants in a four-acre field, surrounded by woods. The O’Connors have been growing lavender here since October, 2001 when they planted their first 100 plants. The property also serves as a gorgeous wedding venue with several ceremony sites. The gift shop on site features wonderful gift items such as soaps, lotions, sachets, and more, all made with the farm’s locally-grown, incredible-smelling lavender. The farm is usually in full bloom during the summer, from mid-June to mid-July. 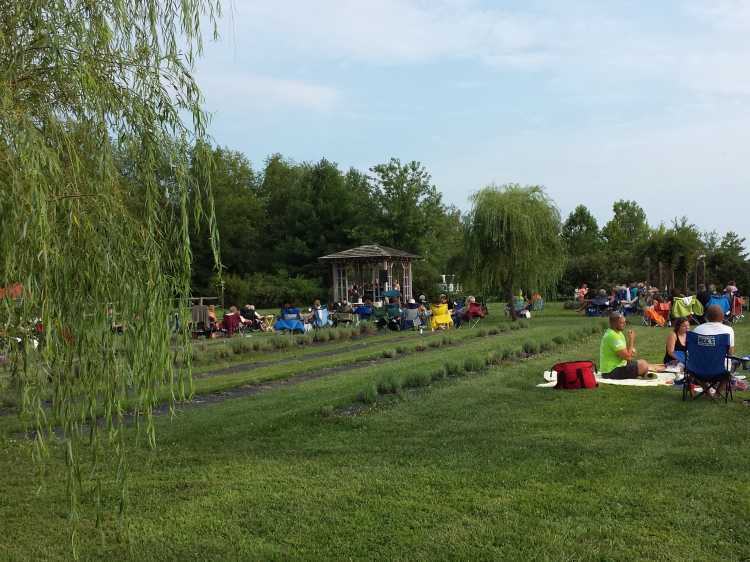 It’s an amazing place to visit any time, but be sure to mark your calendars for Willowfield Lavender Farm’s 2016 Summer Concert Series as well – each event features an evening of fabulous music in a relaxed atmosphere amidst the lavender. Bring a picnic, lawn chairs or blankets and find a spot in the field for an enjoyable, family-friendly evening. (Pro-tip: Don’t forget the bug spray!) Each evening concert will feature the farm’s signature lavender iced teas and desserts made with lavender as well! 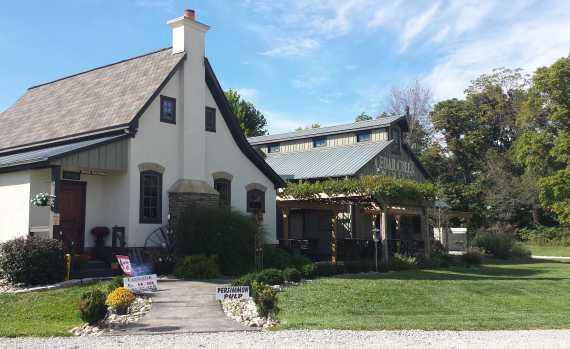 Select evenings will also offer wine tasting and sales from Mallow Run Winery. The “doors” open at 4 pm and the music begins at 6 pm. Admission is only $5 per person and children under age 12 are free. June 18 – Ken Wilson & Co.
Ken, Debbie and Brian perform classical and contemporary acoustic music. 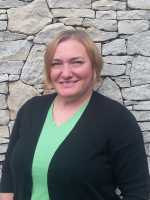 Mallow Run Winery will be on hand for tasting and wine sales. This Indiana native singer/songwriter/guitarist will perform a combination of blues and rock acoustic. Sharlee Davis and Will Devitt and singers/songwriters/musicians, playing a “Roots” blend of rock, folk, country and popjazz. Mary Bomar and Bob Ritter are singers/songwriters/musicians that feature contemporary folk/pop acoustic music. Singer/songwriters Greg Ziesemer and Kriss Luckett (along with their son, Jack) feature acoustic music from the soul, in an Americana Folk style. 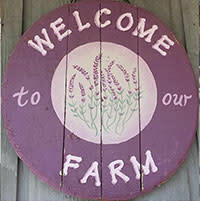 Willowfield Lavender Farm is located at 6176 E. Smokey View Road, Mooresville. From the north, travel south on State Road 37, then turn right onto State Road 144 and go approximately three miles to Centenary Road/Mann Road. Turn left onto Centenary Road and go a little over two miles to Kitchen Road. Turn left and in less than one mile you will turn left again onto Smokey View Road. Follow signs to the farm. From the south, travel north on State Road 37 to Henderson-Ford Road (north of Martinsville). Turn left onto Henderson-Ford Road and follow to Rinker Road. Turn right and follow Rinker Road as it winds and turns, eventually becoming Kitchen Road. Turn right onto Smokey View Road and follow signs to the farm. Contact Visit Morgan County for additional information on other things to do in the Morgan County area, including attractions, restaurants and places to stay. Call 765-346-5611, send an email or contact us on Facebook or Twitter. We&apos;re always happy to help plan your visit!